"Was Really Thourgh And Didn'T Leave Till Was Happy The Job Was Complete." "The Gas Engineer Was Professional, Explained Well What He Did, Fixed The Problem." 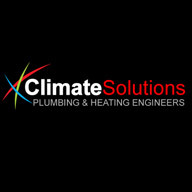 "Polite To House Owner, Quick To Respond, Great Timescale Of Initial Work Completed"
Need a Heating Engineer in Exeter?